“Lonmin, one of three South African companies that mine most of the world’s platinum, plans to invest $2bn to restore its production to historic levels of about 1m ounces a year by 2015. In the six months to March, the London-listed miner raised earnings from a low base. Pre-tax profit doubled to $159m despite bigger pay packages for workers, rising electricity costs and the stronger rand which has been eating away at many South African miners’ profits. Lonmin currently depends on the Marikana mine for its entire production. The production increase to 2015 should come from this mine. 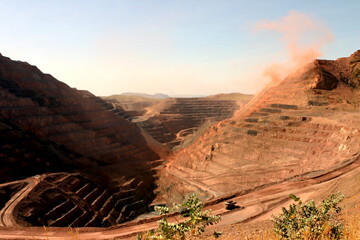 The Limpopo mine currently is under care and maintenance, while the most company’s most promising growth opportunity is the Akanani deposit with just over 10 Moz platinum reserves. Global platinum production is concentrated in South Africa’s Bushveld complex and Russia’s Norilsk region, while demand mainly comes from car manufacturers in Asia and North America. Lonmin is suffering from quickly increasing employment costs (8% increase over the year) and electricity costs (24% increase). Furthermore the appreciation of the South African rand makes costs increase while revenues (in dollars) are not equally increasing. Foreign exchange cost pressures are hurting miners with operations in both developing countries and developed countries in which currencies are not linked to the dollar when the dollar is weakening. With an increasing portion of production shifting to developing countries with high inflation rates exchange rates are becoming more and more important for business evaluation. Several large diversified miners are hesitant to take a stronger position in platinum because of safety issues. Most existing projects have poor safety track records, making acquisition of producing assets a CSR-risk, while development of new projects would require significant capital expenditure and result in long lead times.